A rare Lawren Harris sketch exceeded estimates of $400,000 to $600,000 selling at auction in 2016 for a record $977,500 CAD. 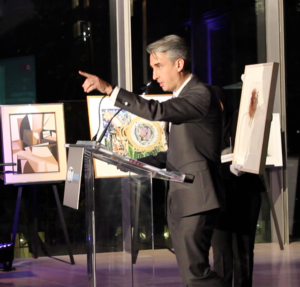 Remarkably, it was the first live auction held by the new auction firm Consignor Canadian Fine Art, formed in 2013. The sketch’s story of discovery and retrieval from Australia by Consignor’s president, Rob Cowley is just as remarkable.The news made international headlines, with articles published in the Globe & Mail, and McLean’s Magazine. This wasn’t the first record sale for the firm. June 2014, 8 artists records were broken at auction. Last November, 2017, a Lawren Harris sketch tripled previous auction record. 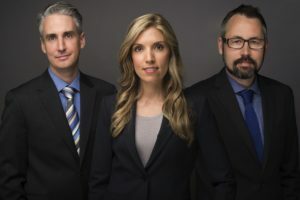 The Consignor Fine Art Team, formed originally from an online auction site (consignor.ca) of Mayberry Fine Art, consists of ( left-right) President Rob Cowley, Vice Presidents Lydia Abbott and Ryan Mayberry. Their head office is located in a historical building directly across from the AGO in Toronto. Their head office is located in a historical building directly across from the AGO in Toronto. Mr. Cowley is recognizable from frequent National TV appearances offering appraisal expertise, information on the International Art Market, and the 10 Commandments of buying art. As a full time artist, one of the many joys is meeting diverse clients and the privilege to see & hear about your extensive art collections. Questions surrounding purchasing work at galleries, or how to purchase/ sell collections at auction often arise in conversation. If it were me, who would I turn to? The Mayberry family has a long standing reputable name in Canadian art, with Consignor quickly establishing an outstanding reputation in the art auction industry. I trust them implicitly. To cover the auction topic more extensively, I reached out to the President of Consignor himself. Not only did I discover Rob Cowley personable and patient, he kindly agreed to answer my questions for this feature post. Rob, why did you choose this business? what delights you about it? I began in the auction business through an employment agency about 18 years ago. I interviewed at a Toronto auction company and worked in their accounting & administration office for about two years. When Joyner Canadian Fine Art merged with the firm in 2002, I was appointed the administrator for the Canadian art division and learned on the job through several years, training as a specialist and an auctioneer. I love the community of our industry. I have the fortune to not only meet and converse with new people every day, but also to have relationships with collectors, dealers, curators, academics, consultants and art-lovers through many years and central to our conversations and business is an appreciation and discussion of art. For many of those who we know well, we are their destination to discuss their passion and I feel very lucky to have that connection to people. And, of course, the art! Our work connects us with incredible examples of artwork by many of our country’s most renowned artists. Through the years, I have been fortunate to bring numerous major works of art to the auction market, but have also been privileged to view countless private collections, seeing masterpieces which may never be visible by the public. The hunt, discussion and research related to the incredible artwork I have offered over the years is very rewarding. Pretend readers are completely green, can you take us briefly thru the auction process? what defines the secondary market? The auction process typically begins with a client contacting our firm and sharing details of the artwork which they own and may be considering for sale (or wish to have appraised for a variety of reasons – insurance or donation, for example). Through our website and e-mail or through a meeting in our gallery or at their location of convenience, we view the artwork and then research the work to see if we can assist. If the artist of the artwork has a past history of sales at auction and has a fairly active recent auction market, we can then provide the client with a preliminary auction estimate (a range), which gives an idea of how the artwork could perform in the near future, based on how similar works by the artist have performed in recent auction seasons. A prerequisite for offering is the past offering of the artist’s work at auction. Auction relies solely upon past history by each artist at auction, generally not taking into account the artist’s performance in other markets (such as through retail galleries or private sale). If an artist does not have any past sales at auction, we usually cannot offer the artwork but do our best to provide other avenues to the client for possible sale. The secondary market is defined by the sale and trade of artwork which is not being sold for the first time. Auction houses, retail galleries and private dealers are all involved in the secondary market, offering artwork that is usually not directly from an artist, the process being the resale of an artwork. I understand artists cannot submit their own work? This is correct. As the auction market is limited to artists who have had past offering and sales through the auction market, we are limited and cannot offer the work of artists directly. Your friendly informative T.V appearances are a unique way to educate & reach out to National audiences. The industry is often represented as a “ behind closed doors” business. Is this part your goal as the new fresh face of the industry, welcoming questions and interaction with clients, in a world where some felt that only those ‘in the know’ were welcome? Absolutely. We feel that the art market in general can create apprehension with the general public. Often movies and television portray auction houses and art galleries as stuffy and pretentious places where those who are not “in the know” will not feel welcome. As well, auction tends to be portrayed as an environment where every items sells for hundreds of thousands of dollars (or more) and that if you scratch your nose, you may accidentally buy an expensive artwork. Of course, this is far from the truth. Lydia, Ryan and I work very hard with our team to provide education through our media appearances and let the public know that our auctions and auction previews are open to the public and that we happily provide service to collectors at all levels, including beginners. With the great number of fantastic and affordable original works of art available through our live and online sales, auction is a great way to collect and our specialists are delighted to meet and chat with clients who have any questions. We offer artwork at all value levels and a great deal of the works in our sales (especially online) are valued below $1,000 (and many below $500), providing great opportunities to collectors. We not only provide details of the artwork which we offer, but also walk clients through the auction bidding process. Our online sales are run through our proprietary and easy-to-use bidding software (built and maintained by Ryan Mayberry) and allow clients to bid at home or on-the-go with their computer, smart phone or tablet. The live auctions allow clients to attend and bid in person, however they can also leave absentee (maximum) bids or bid via telephone, should they be unable to attend or feel any apprehension related to the public bidding process. For both our live and online auctions, we feature extensive previewing of the artwork in our Toronto gallery, allowing clients to see the offerings in person and discuss the artwork and bidding process with our specialists, ensuring comfort with the artwork and their bids. How does the Canadian auction market differ from the US? We see extraordinary prices published at International auctions, can you share why some of these paintings are receiving such high prices? you mentioned once in an interview that Canadian buyers are more ‘responsible buyers’ at auction. why is this? 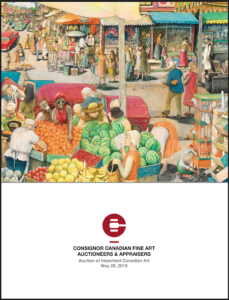 One of the central differences between the Canadian and International markets at auction is that Canadian artwork is mainly collected by Canadians, whereas the international markets attract collectors globally. This is the prime reason why you will witness astronomical prices for works by historical and contemporary works sold in New York and London auctions annually – bidding can come from a multitude of nations, markets and economies. At auction in Canada, although we do witness interest outside of Canada for certain artists and schools, the majority of serious bidding comes from within our borders. This relative smaller audience of bidders and potential buyers will limit the prices in the majority of the auction market, again in relative comparison to prices we witness in the United States and overseas annually. It also means that when corrections in the auction market occur, there is not always a dramatic drop in the Canadian art market. I do believe that a great deal of the collecting public in Canada display discipline at auction. Quality and rarity tend to be central for the works that sell at dramatic levels, far beyond expectation and we often witness that collectors will not respond with bids where an artwork has been aggressively overpriced. During market correction, the auction market still witnesses records set, often for those works that collectors have been hunting to accentuate their collections, but the challenges are evident with artwork of less rarity (collectors waiting on these works until the market shows greater health). 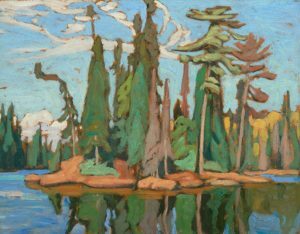 Circumstances surrounding a piece of art may increase it’s value, you expressed in an interview, offering Tracks & Traffic- by JEH MacDonald as an example, because this possibly was first time Group of Seven Members, Harris and MacDonald, painted together in the same location. Do many pieces have these kind of perhaps unknown to the general public circumstances? Beyond these factors, we also take into account the size; medium; quality; period; condition; what is in fashion in the current market. The painting touched on each of these factors as well. With all of these criteria in play, the painting was one that attracted many bidders when it was sold in our November 2016 auction. We take into account these ten factors (which we call “commandments”) when valuing artwork for offer at auction, looking at comparable works by each artist which have been offered at auction in recent seasons and years. Often, the more factors which are valid, the potential for greater interest for collectors and a higher pre-sale valuation for auction. Through our research, writing of accompanying essays and promotion (both public and direct to collectors), we work to educate potential bidders to these factors, providing the historical importance of the artwork. Who is buying Canadian Art at Auction? Who buys Internationally? ( we read about Russians, Chinese & Koreans active in art acquisitions). Mainly we witness Canadians participating in the purchase of Canadian artwork at auction, whether they live in Canada or abroad, however we have been seeing more interest from art collectors outside of Canada over the last decade or so. We have witnessed interest, bids and purchasers from the United States, Europe and Asia through our live and online auctions. Artists such as Jean Paul Riopelle, Jack Bush and Sorel Etrog are offered regularly at auction outside of Canada and we do witness interest from buyers outside of our borders when we have such works on offer. As well, given the international exhibitions of artwork by Lawren Harris, Emily Carr and the Group of Seven in the past decade, we do also encounter interest in these painters’ work from non-Canadian buyers. That being said, we still do witness a great deal of the buying of blue-chip Canadian works of art coming from Canadians. Do you see Canadian art growing on the global stage? I think as we continue to see Canadian art featured in international exhibitions, it can lead to an increase in international interest in the work created by our artists. This leads at least to an education of our artwork and history, which could lead to more buyers outside of our population over time. What would you advise to those hoping to purchase at auction? what kind of research can they do prior? It is always best to do your homework. Read the auction catalogues but also find other books and websites to learn about the artists and artwork. Attend the auction previews and speak with the specialists to find out more about the artwork of interest. The specialists can assist in letting you know specifics related to the artwork, but also related to the artist and current market for their artwork. Attend art institutions regularly and read as much as you can about those artists and schools where you have an interest, providing you with a well-rounded view of the artwork and history within which it originated. Before bidding, set your limit and stick to it. While auction houses are happy to see record-breaking prices, we also wish to see bidders enjoy the experience and buy within their comfort zone, rather than having any regret associated with a purchase. Clients hoping to sell their collection? how do they prepare? The best first step is to contact our specialists for a general discussion of the artwork which they are considering parting with through auction. From there, we can meet with the client and examine the artwork. Following research, we can then provide preliminary auction estimates and proposed and simplified terms of sale. 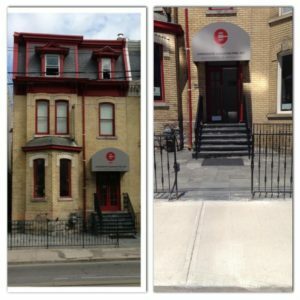 If the client is not able to meet with us (being outside of the Toronto area), we can meet with them during our national travels (which occur regularly) or we can also work through the process via e-mail. There is no cost or further obligation attached to this confidential process. What are the 10 commandments to buying art? -Subject matter that is the most celebrated by an artist will tend to be more heavily sought by collectors, leading to the potential of a more aggressive pre-sale auction estimate than an out-of-the-ordinary subject by an artist. For example, generally a floral still life by Lawren Harris will carry a more conservative auction estimate than a landscape. -Usually a larger artwork will command a higher pre-sale auction estimate, however in our current climate, very large art can face challenges at auction where collectors tend to have less wall space (related to smaller homes, down-sizing etc. ), leading to sometimes more conservative values for larger works than in years past at auction. -Generally, an oil painting will command a higher price at auction than a work on paper and reproductions will fetch even less. -Artwork that has been included in important collections and/or exhibitions, as well as works which have been featured in books and research will often have added value at auction. -An artist’s “prime period” will often command stronger estimates and results at auction than periods outside. 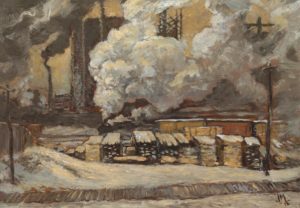 Generally, work the Group of Seven tends to command the highest prices when it originates from the period when the Group was associated, during the 1920s and early 1930s. -Generally, a quickly painted work by an artist can carry a lower value at auction than one where where artist may have spent more time, for example. -An artwork in poor condition or one which has been restored poorly, will usually be valued more conservatively than a work which is in pristine condition. -Rarity can lead to auction values that are either more aggressive or more conservative. The preparatory work for a major canvas will likely lead to a more aggressive result, where an early student work by an artist (that does not resemble the painter’s strongest work) can lead to more conservative interest from collectors. Both are rare, but will lead to different interest at auction. -This factor reflects artists, schools and movements which may be popular with collectors currently, leading to greater interest with bidders. A current example would be Maud Lewis – with the release of the movie about her life in the last couple of years, interest has never been greater for her work at auction, with record prices occurring regularly. Who are the more prestigious Canadian & International Artists sought at auction? who makes this decision?obviously market demand, but what other factors come into play? how do some rise dramatically in the rankings? The market does drive this interest; however it is usually in response to significant and rare works being available, attracting a great number of serious collectors and the potential for record-achieving prices. When a record is set for an artist, it will often draw out further works of quality, leading to the potential of a trend for an artist continuing. We have witnessed this in recent years at auction with the work of the artists I have listed above. About the Harris sketch ‘Algoma Sketch 48’ story from our opening paragraph, why did the Australian collector choose you to contact? We were very excited to receive contact from the family who owned Algoma (Algoma Sketch 48). We not only recognized the quality of the painting, but also the high level of rarity. The painting had never appeared at auction in the past, having been in the family’s collection after purchase from Laing Galleries in 1940. As well, the painting was the source for at least five canvases by Harris, a very rare occurrence as Harris rarely repeated subject matter in his larger works. The family was excited not only by our enthusiasm but also in our commitment to ensure that the selling process was as simple as possible. This included us travelling to Australia and collecting the painting personally from the family, alleviating any stress associated with the process of shipping such a special and valuable painting internationally. The personal and attentive service we provided included a high level of promotion for the painting leading to national headlines and a final selling price that doubled expectation, selling for a record just shy of a million dollars. What do you see in the future with art collecting in Canada? has technology changed how we collect, share, exhibit and auction work? I believe that the art market will continue to show development related to technology, allowing collectors continued and increased access to artwork and services. However, central to the market will continue to be the need for traditional and personalized assistance from professionals. Art is both personal and social and our team strongly believes that connection, discussion and education are of the utmost importance for a healthy market. Can you share highlights of your next auction in May 2018? Yes! We are delighted to share details of our Spring Live Auction of Important Canadian Art, taking place at the Gardiner Musuem in Toronto on Tuesday, May 29th. 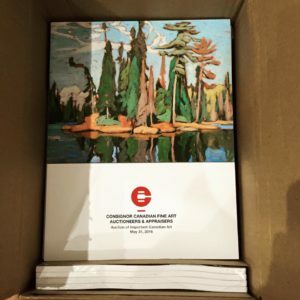 The auction is listed on our site now (www.consignor.ca) and includes significant and rare work by William Kurelek, Bill Reid, the Group of Seven and Emily Carr. The 1972 painting was included in multiple important exhibitions and also featured in a book by Kurelek, O Toronto, which featured 21 works by the painter dedicated to the city of Toronto. This painting has never been offered at auction and is a joyous and chaotic scene of a summer day in Toronto’s Kensington Market, a celebration of the city, summer and multiculturalism. The painting’s quality and rarity has already excited collectors of Kurelek’s work since we began promotion in the past couple of weeks. We are working on holding more auctions than in the past (the first half of 2018 featured more auctions than we have ever held during the same time period) with more themed online auctions, geared towards the new, emerging and established collector. Thanks so much for your professional information, insight & patience with my questions. Clients, readers & I appreciate your kindness! Thank you! It is a pleasure to chat and discuss our firm and the market. This entry was posted in News by dawn. Bookmark the permalink.